Malawi’s firebrand politicians and Rumphi East Member of Parliament Kamlepo Kalua has received an Honorary Doctoral Degree in Political Science by Malawi-based Cypress University when the US institution held this year’s graduation ceremony at Bingu International Conference Centre (BICC) in Lilongwe. 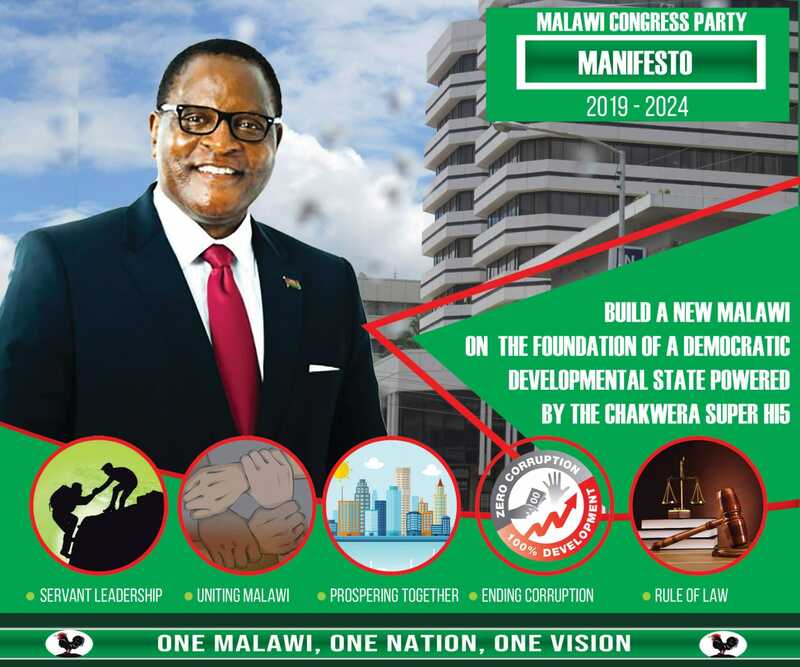 Kalua is one of the politicians who championed multi-party democrcay when they fought against one-party dictatorship of Kamuzu Banda and Malawi Congress Party(MCP). He contested for the first Malawi democratic multi-party elections in the presidential race in 1994 under Malawi Democratic Party (MDP). Kalua also has a second time unlucky at the presidency in 1999. He joined People’s Party and managed to win a parliamentary seat and has been vocal against government in parliament on corruption, transparency and accountability issues. University Board member Dr. Ellen Nakanga said the insitutition also conferred various Honorary Doctoral Degrees to other various people, who included Paramount Chiefs Lundu, Kawinga, Kaomba and Ngongoliwa. “The chiefs were awarded with Doctoral Degrees in Leadership while Justice James Barnabas Kalaile, SC got Honorary Doctoral Degree in Law (LLD),” Nakanga said. Also honoured during the graduation ceremony was Professor Tuweh Gadama, who was crowned ‘The Great’ in Global Education for authoring 144 academic books, probably the first globally to author such a large number of academic books which are available in Africa, Middle East and Europe. Nakanga, who said the university believes in access to education, explained that Professor Jean Baptise Neil Bien, who is is political scientist from Cote d’Ivoire, presided over the crowning ceremony to Professor Gadama citing his hard work in promoting education in Africa, Middle East Asia and Europe. Professor Gadama is the chairperson of the University Council of Cypress University in Malawi. The University also conferred Honorary Doctoral Degree in Chemistry to Emperor Assemien of Cote d’Ivoire with another in leadership management, development and philosophy went to Emperor Akashambatwa Mbukisita Lewanika of Barotse land Kingdom in Zambia. About 150 students received their degrees and diplomas from Bachelors, Masters, Academic and doctoral degrees in following faculties: Financial Accounting, Business Management, Commerce, Community Development, General Education and Technology. “Because of the university’s popularity, we have opened the online studies as well as campuses both in Blantyre and Lilongwe. Cypress University originated in Texas USA and Malawi is a satellite for Africa, Middle East and Asia. Dr. Nakanga said Cypress is currently attracting students from Zambia, Portugal, Congo, Belgium, France, Switzerland, India, Burkina Faso, Cote d’Ivoire, Mozambique, Egypt, Israel, Myanmar, Angola, UK, Mali, Senegal, Benin, Cameron, Nigeria, Niger, Central Africa Republic, Guinea-Bissau Gambia China and Malawi. In 2016, Cypress University also conferred an honorary doctoral degree in Political Leadership to politician Uladi Mussa. What was the criteria of selection? Shame !!!! This shouldn’t bother anyone. Just take it as one of the dramas we are subjected to everyday. The degree or qualification is in the knowledge we acquire studying not the useless paper or title conferred. It is like giving a driving licence to someone who cannot drive. It is part of their marketing gimmick for these con universities. Do you think the people conferred these degrees will hesitate to send their kids, nephews, nieces or grandkids to this university? Is Malawi really alive? Shame!!!!! Some of these guys have not reached even form 3,how can they offered university degrees? Back in the day during Kamuzu one had to actually go to school in order to be called Dr so and so…. Then Muluzi came into power, what did he do first? He went to the US to buy an honorary degree just to fulfill his ego because he was being called uneducated during the 1994 campaign. After that, everyone started buying these stupid honorary degrees and everything in Malawi has gone wrong! Standards have gone to the dogs. APM was also awarded the prof in America , these are the same degrees which he is buying for the chiefs who are his bootlicker , he has forgotten TA Kabundula and Kyungu. The degrees are now one tambala per dozen. Even the drunkard Lundu? What a joke. What the hell is going on in Malawi. I have google Gadama and his friends with their acclaimed 144 authorship but Cant find any on google books, scholar etc. Why is the government just watching this madness going on? May be he writes on Facebook. These degrees have lost meaning.